We are LINDEN HOUSE DENTAL PRACTICE operating at 10 VICTORIA AVENUE , HARROGATE . HG1 1ED. Dr. J G Murray is responsible for keeping secure the information about you that we hold. Those at the practice who have access to your information include dentists and other dental professionals involved with your care and treatment, and the reception staff responsible for the management and administration of the practice. Our data protection officer Dr. J G Murray ensures that the practice complies with data protection requirements to ensure that we collect, use, store and dispose of your information responsibly. You can contact our data protection officer, Dr. J G Murray by email at lindenhousedentalpractice@btinternet.com or by phone on 01423 503162. Where your dental care is provided under the terms of the NHS ,we are required to complete statutory forms to allow payments to be processed .This is an NHS requirement. 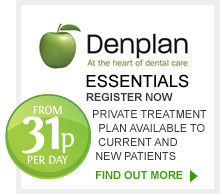 We will share your information with the NHS and DenPlan in connection with your dental treatment. We may use your contact details to inform you of products and services available at our practice subject to your agreement. We store your personal information securely on our practice computer system [and/or] in a manual filing system. Your information cannot be accessed by those who do not work at the practice; only those working at the practice have access to your information. They understand their legal responsibility to maintain confidentiality and follow practice procedures to ensure this. We use high quality specialist dental software to record and use your personal information safely and effectively. Our computer system has a secure audit trail and we back up information routinely. We use cloud computing facilities for storing some of your information. The practice has a rigorous agreement with our provider to ensure that we meet our obligations described in this policy and that we keep your information securely. We keep your records for 10 years after the date of your last visit to the Practice or until you reach the age of 25 years, whichever is the longer. At your request, we will delete non-essential information (for example some contact details) before the end of this period. All requests should be made by email to our data protection officer, Dr. J G Murray at lindenhousedentalpractice@btinternet.com . Do you consent to us storing and using your personal information to get back in touch with you after filling out from this form.